A man has been jailed for the theft of eight charity boxes across Sussex, including from businesses in Rye and Robertsbridge. 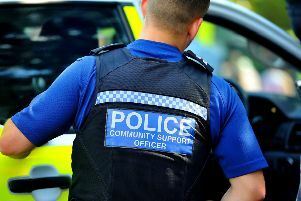 Sussex Police said on Wednesday, August 22, officers received a call from a member of the public to report a man acting suspiciously in Eastbourne. Police officers attended and were able to identify Derrick Matthews as the suspect in CCTV footage of the theft of charity tins. Matthews, 59, had been linked to stolen tins from businesses in Eastbourne, Rye, Hailsham, Burgess Hill, and Roberstbridge from November 2017 until May. He was arrested by officers and charged with eight counts of theft by walk-in, police said. Matthews of no fixed address was remanded in custody and appeared at Brighton Magistrates’ Court on Friday, August 24, where he pleaded guilty to all charges. Matthews was given a four week prison sentence for each charge to run consecutively, totalling 32 weeks. Investigating officer Anna Archer said: “Any theft is unacceptable but stealing money from a charity is particularly abhorrent. “Matthews conducted his thefts in a calculated manor and in turn, caused a lot of distress from his behaviour. “I would like to extend my thanks to the member of the public who called us to report his suspicious behaviour and sub sequentially allowing us to identify Matthews. “We also had many calls from other members of the public identifying Matthews in the CCTV video we published on our website, which aided our investigation.